Sophistication, glamour, the ultimate in contemporary style, the city’s most spectacular view – words can hardly explain the newest project from the minds of David Choo and Roderick Lahey. Made for only the most discerning clients – the chic and elite, those who tread the corridors of fame and power. The president of Ashcroft Homes is committed to urbanizing the capital, starting with a trio f condos on Richmond Road and a condo-hotel-office complex facing the Sparks Street Mall. David Choo is certain Ottawa is cosmopolitan- bound. And that’s just fine with the ambitious president of Ashcroft Homes, an entrepreneur who has established himself during the past 17 years as a mover in Ottawa’s urban housing market. 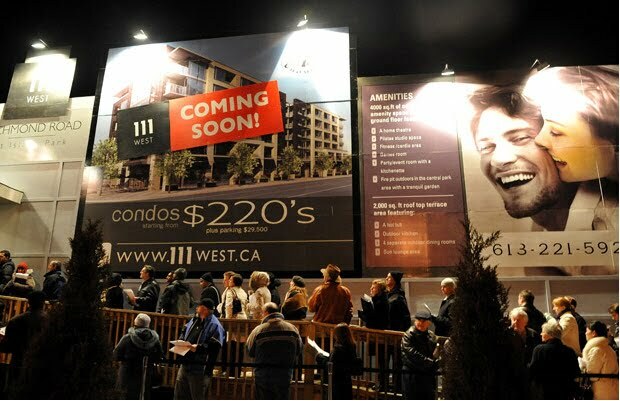 Upscale urban growth is Ottawa’s inevitable evolutionary path, says Choo.